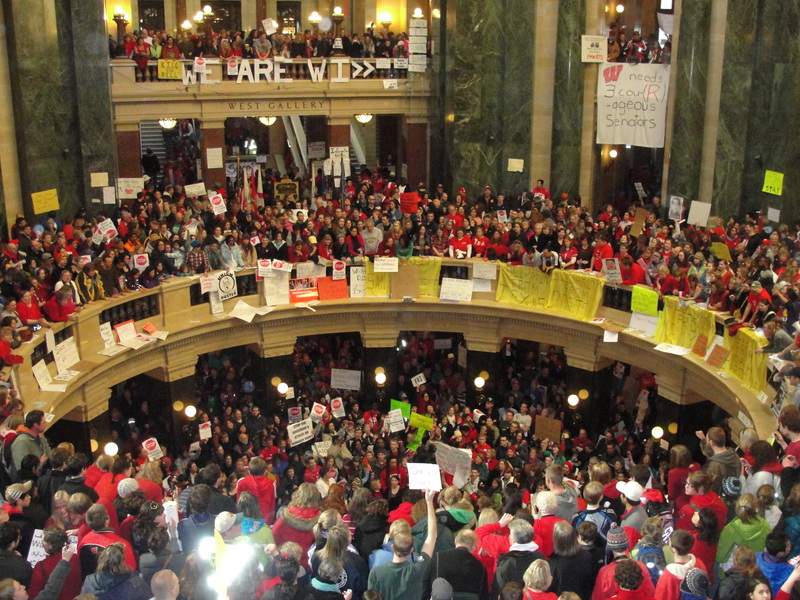 The people occupying the state capitol in Madison Feb. 18, 2011. Supporters of Chrishuan “CeCe” McDonald will hold a press conference on Monday, June 4, at 2:30 pm. The press conference will follow McDonald’s sentencing hearing, which will be held at 1:30 pm in the Hennepin County Government Center with Judge Daniel Moreno presiding. After facing two charges of second degree murder, on May 1 McDonald accepted a guilty plea to a lesser charge of second degree manslaughter. 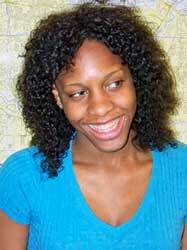 She is likely to receive a sentence of 41 months. Members of the CeCe McDonald Support Committee will be available for interviews following the press conference. 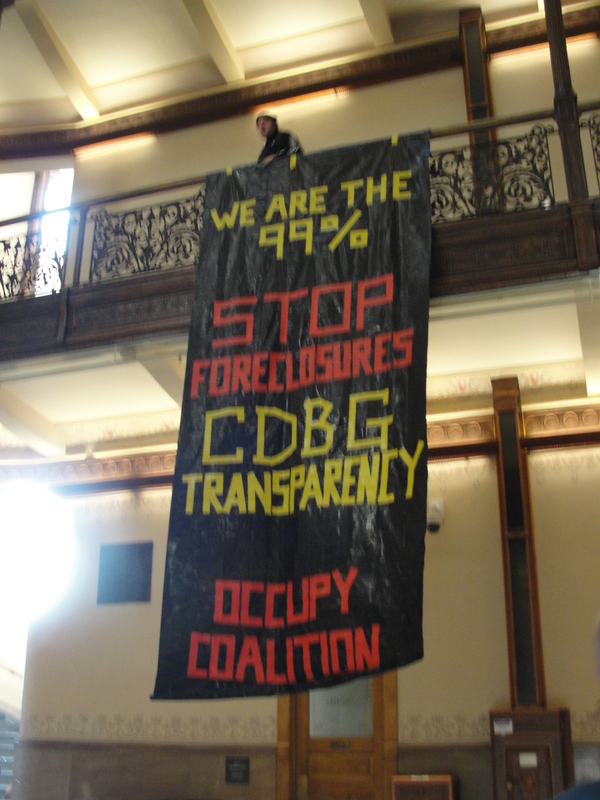 June 4, D.C.: Hands Off Deborah Harris’ Home! 3. Sign the petition that goes directly to the District Attorney’s office. Your presence during Carlos trial can make the difference between his freedom and prison time! Sign up to attend for one, two or more days. 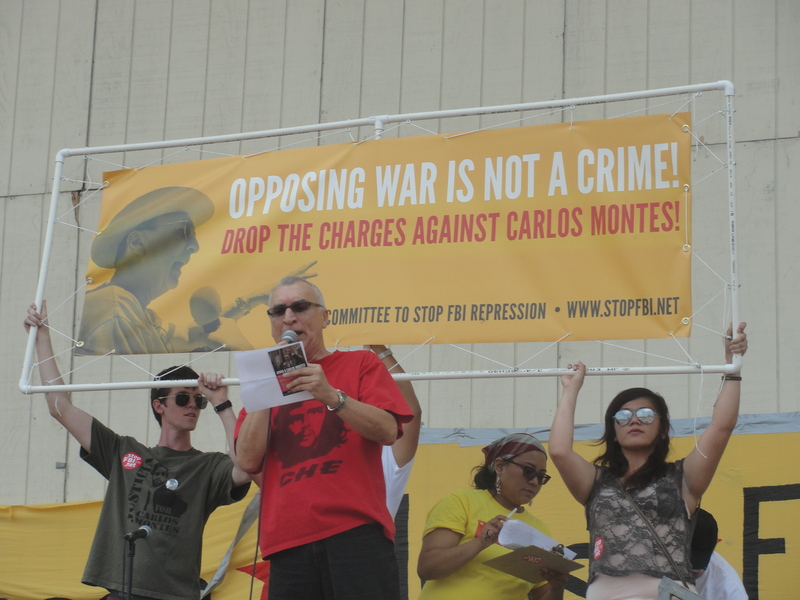 Carlos Montes speaking at anti-NATO protest in Chicago May 20, 2012. 1. Repeal Act 10 – Hands off unions and collective bargaining. No cuts to education or Badger Care. 2. Restore the Equal Pay Act – We demand and end to workplace discrimination. 3. Tax the 1% – Hold the banksters and the 1% accountable for their economic crisis, and stop the cuts to working and oppressed people. 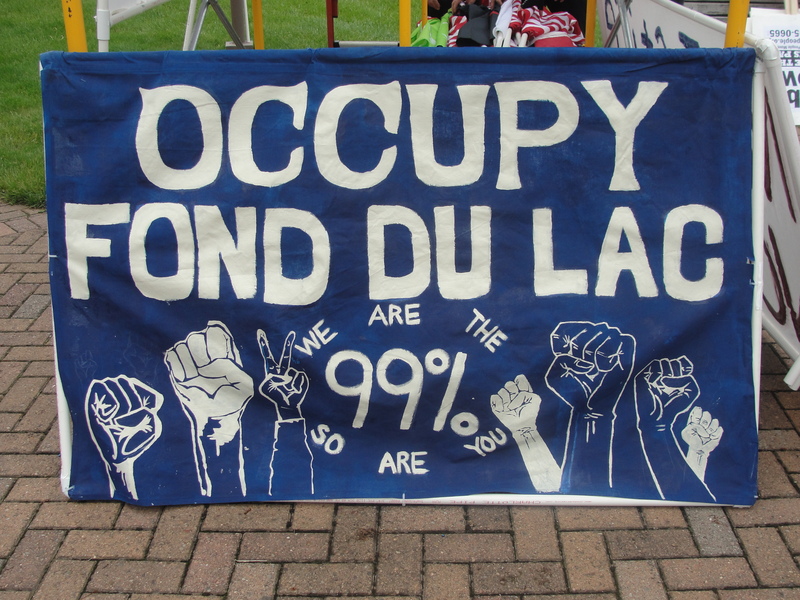 We will rally at Pier Marquette Park at 5 p.m. before marching on Milwaukee’s banking district. 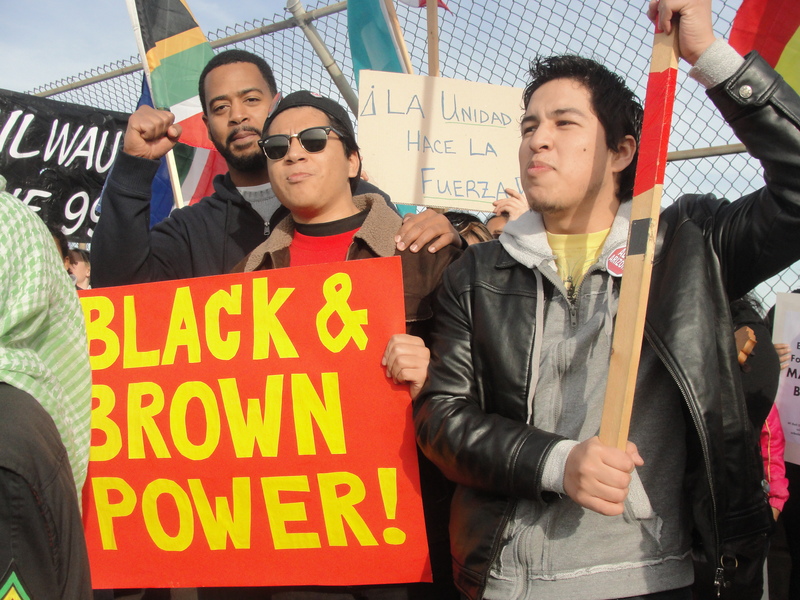 Occupy the Hood Milwaukee & Occupy The Barrio’s “Black & Brown Unity” rally and march Nov. 12, 2011 Milwaukee. October 14, 2011 Occupy Green Bay rally, Green Bay. 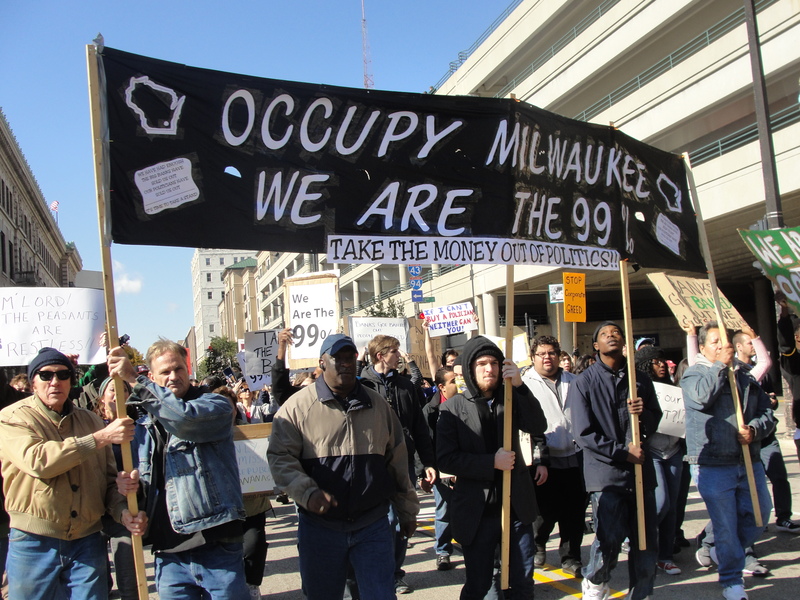 Occupy Milwaukee’s kick off rally and march Oct. 15, 2011, Milwaukee. 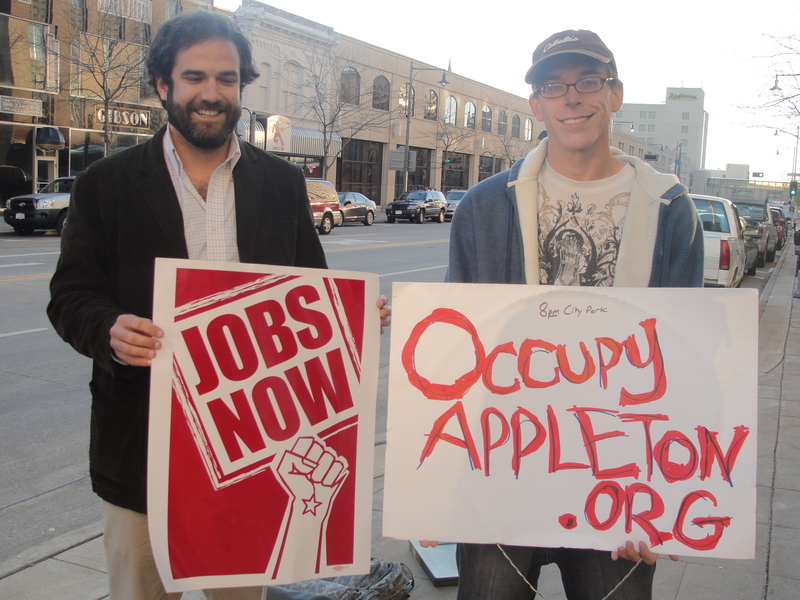 Occupy Appleton members protesting at Chase Bank Nov. 3, 2011, Appleton. 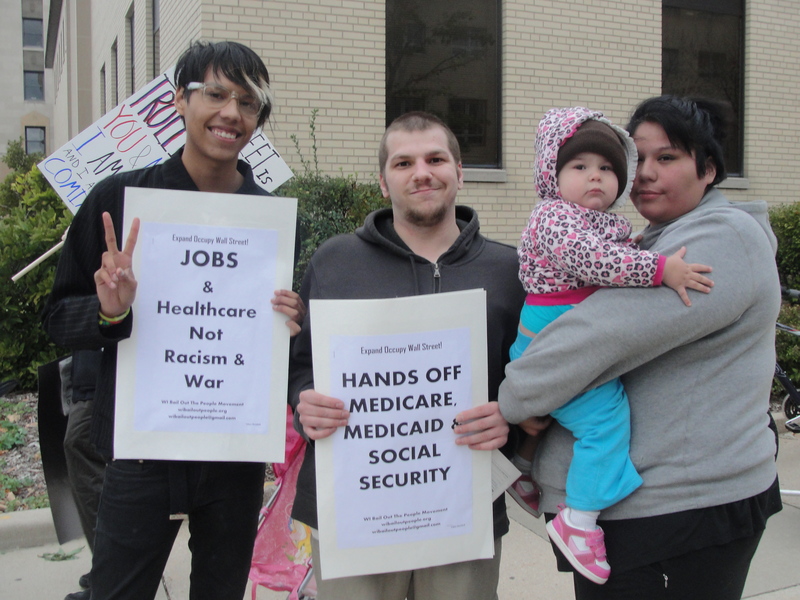 “Take Back City Hall” protest by members of Occupy The Hood, Occupy The Barrio, Occupy Milwaukee, Occupy Riverwest, Occupy Fond du Lac and many other labor, community and faith-based organizations, Feb. 6, 2012, Milwaukee. Occupy Fond du Lac “No War With Iran” march and rally in Fond du Lac May 5, 2012. 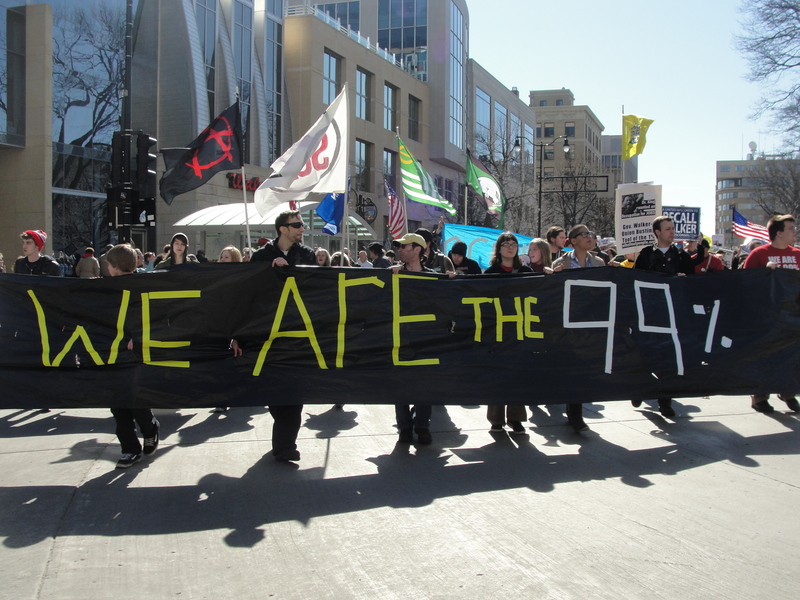 Occupy WI contingent March 10, 2012, Madison.